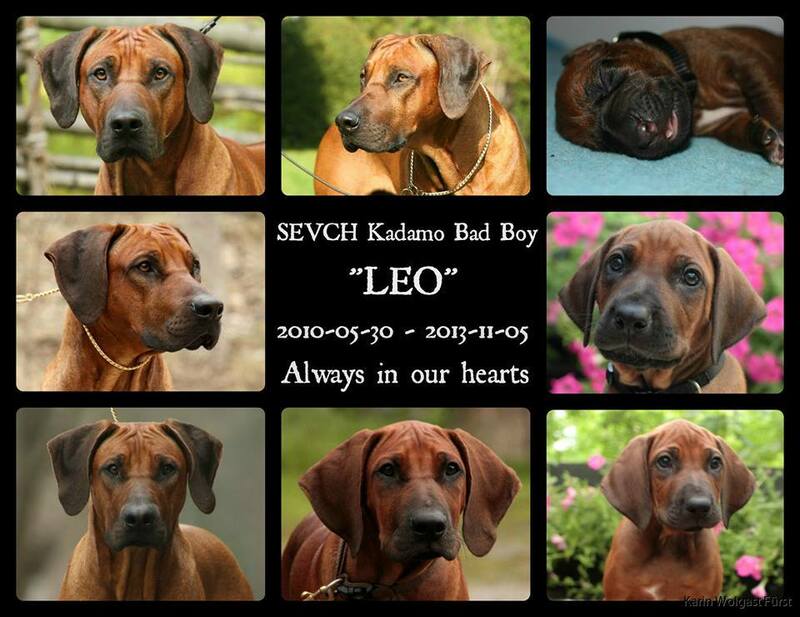 It is with great sadness I have to let you know that SEVCH Kadamo Bad Boy "Leo" has been put to sleep. This summer he started limping on one of his forelegs and after being looked at by a vet they suspected osteosarcoma. They did a biopsy but it came back negative. We were so happy and he got treatment for the pain and inflammation and was doing ok for a while. But now, a couple of months later the swelling around his wrist increased and so did the pain. After more check ups by the vet the suspious was strong that this was, despite the testresult, osteosarcoma. After getting worse and worse quickly his owner Jennie had to make the difficult decision to put him to sleep. I got to see him Monday evening and say goodbye, which was extremely difficult, but I am still glad I got to do this. It is very hard to see one of my "babies" in so much pain, he was only 3 ½ years old and he shouldn't be leaving us for many more years, and definetely not before his parents. Leo was from my Beatles-litter (Moa x Wilson) so he and his siblings is extra special to both me and my sister Johanna (Wilson's owner), since this was both Moa and Wilson's very first litter. My thoughts are with Leo's owner Jennie in this difficult time, I know not only her, but many of us will miss this wonderful, happy and easy going boy. He reminded me so much of Dando, so sweet and kind with that special glimps in his eyes. He will be truly missed! I know I will never forget him and he will always have a special place in my heart. Love you always and forever Leo!